The formal education equivalent of a bachelor’s degree in biology, zoology, botany, or a related field; plus three years of experience in wildlife management, including one year in a leadership capacity. Other job related education and/or experience may be substituted for all or part of these basic requirements, except for certification or licensure requirements, upon approval of the Human Resources Chief. A Masters Degree in Fisheries will substitute for two years of experience. Ability to tow and operate boats. Knowledge of the principles of biology, ecology, and related environmental sciences. Knowledge of game and fish management programs. Knowledge of game and fish laboratory and field survey equipment, techniques, and procedures. Knowledge of supervisory practices and procedures. Knowledge of state purchasing procedures. Ability to plan work unit objectives and operational activities and to assign and direct the work of subordinates. Ability to make public presentations. Ability to plan and direct scientific game and fish surveys and studies. Ability to develop, implement, and monitor wildlife management plans and programs. Knowledge of fish population dynamics, population simulation modeling, and common statistical analyses. Skills in public input methods, working with angler groups and political interests preferred. Experience in current fish sampling techniques. Good written and verbal communication skills. Physically able to work long hours, sometimes under harsh or physically demanding conditions. Strong teamwork concept, yet capable of completing a task without close supervision. Strong organizational skills. Ability to plan work unit objectives and operational activities and to assign and direct the work of subordinates. 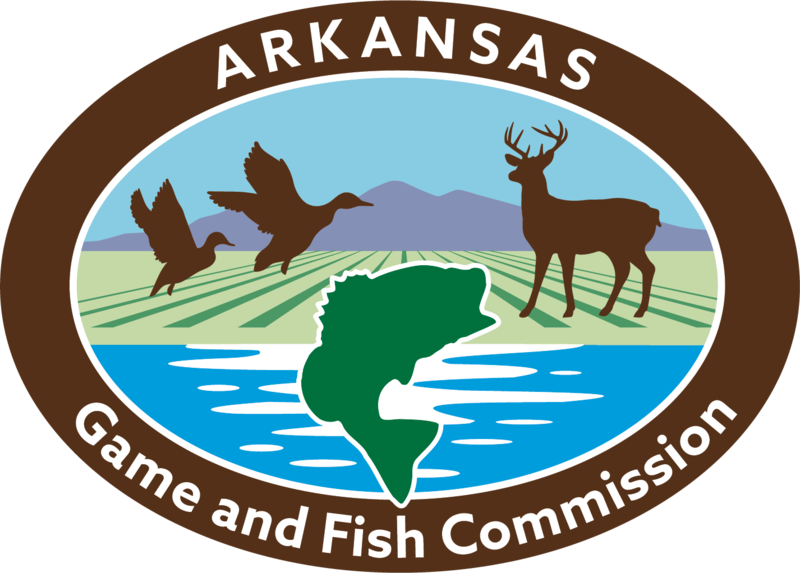 The Arkansas Game and Fish Commission (AGFC) Biologist Supervisor is responsible for supervising a wildlife management program. This position is governed by state and federal laws and agency/institution policy. Supervises a small to medium-sized professional staff by interviewing, recommending hire or termination, assigning and reviewing work, evaluating employee performance, and training employees. Plans and directs studies and surveys of game and fish species and collects and analyzes data on game and fish species. Analyzes and develops recommendations on district game seasons, wildlife management areas, fish re-stocking, and game re-establishment. Prepares activity and program reports and writes research papers or articles on game and fish studies for publication. Prepares and submits wildlife management or fisheries plans. Develops and monitors expenditures and reviews and approves purchase requests for supplies, equipment, food plots, and stocking and relocation of wildlife. Coordinates district and division programs with various state, federal, and private industry officials and makes presentations to civic groups, schools, and clubs. Conducts public meetings to explain new and/or proposed rules and regulations and/or to hear complaints about wildlife management. Functions as the District 5 Fisheries Supervisor under the supervision of the Assistant Chief of Fisheries Management. Responsible for the management of fisheries and aquatic resources in Fisheries District 5, which includes Arkansas, Jefferson, Lincoln, Desha, Drew, Ashley, and Chicot Counties in Southeast Arkansas. Routinely performs standardized fish population surveys including electrofishing, creel surveys, and netting. Analyzes fish population survey data and prepares annual lake reports. Makes management and regulation recommendations. Assists other Fisheries Division personnel with aquatic resource and fisheries management projects. Conducts specialized research and data analysis of various fish species and habitat types. Conducts fish management activities, such as lake fertilization and fish habitat improvements. Conducts extension work on private farm ponds and fishing lakes. Writes technical reports and presents audio/visual programs to civic clubs, angler clubs, school groups, and professional organizations. Maintains professional decorum with other local, state, and federal agencies. Establishes and maintains good communication with the public. Scopes potential public access sites and identifies access maintenance or renovation needs. Supervises and conducts performance evaluations for subordinate staff. Responsible for all administrative functions of the district. Frequent in-state travel and field work with exposure to inclement weather is required. Occasional exposure to hunters and dangerous animals may be required. For questions or additional information on the position, please contact Jason Olive, Assistant Chief of Fisheries Management, at jason.olive@agfc.ar.gov. Applications must include complete work history and references.